YAY, it’s almost time for one of our favorite holidays! Only because theres no better holiday to celebrate with dancing quite like this upcoming one. That’s right, it’s Valentines DAAY! In celebration, we have decided to show our love by giving back. Giving back to our students and the community in which we’ve known to love and become apart of. That' is why not only will we be hosting an amazing Valentines Day party, but we will also be giving out FREE guest passes to anyone who would like to join in on the festivities. 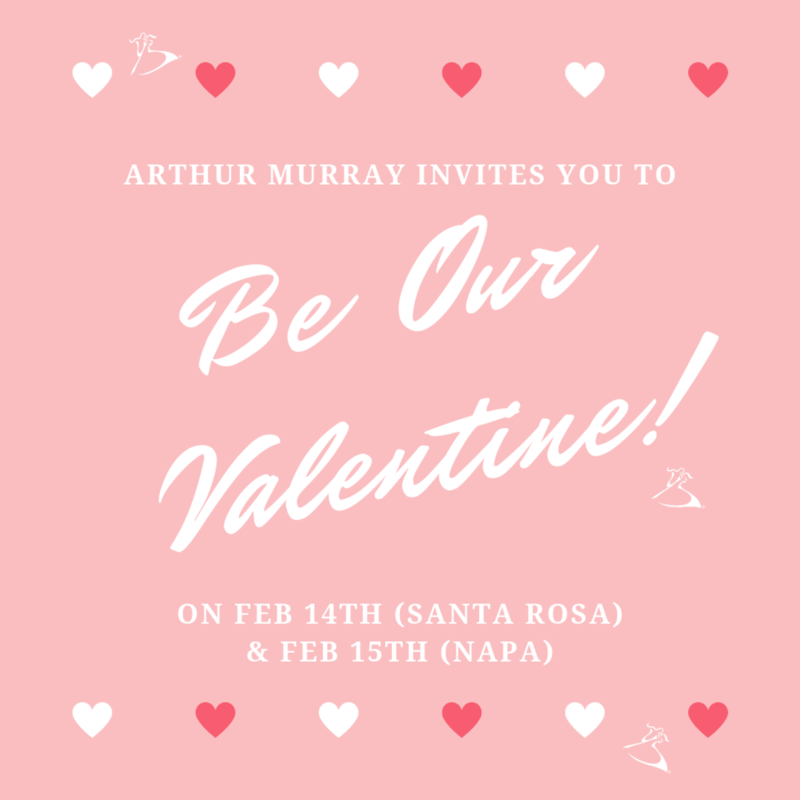 Since we’d like to give people a chance to attend both parties, we will be having Santa Rosa’s on Thursday the 14th, and Napa’s on Friday the 15th! Coming solo? No problem! Bringing a date? Even better! We can’t wait to meet your loved ones & share what we are SO passionate about, Ballroom dance! So be sure to mark your calendars, and come shake a tail feather this 14th in Santa Rosa, or 15th in Napa! Both parties will be free of charge for you or ANY guest you invite. Come down, and enjoy the festivities, with your sweetheart or heart on your sleeve. Either way, we hope you save a dance for us!